When H and I travel (in this instance, a visit to family in Arizona), I alway keep an eye out for encounters with the local feathered community. 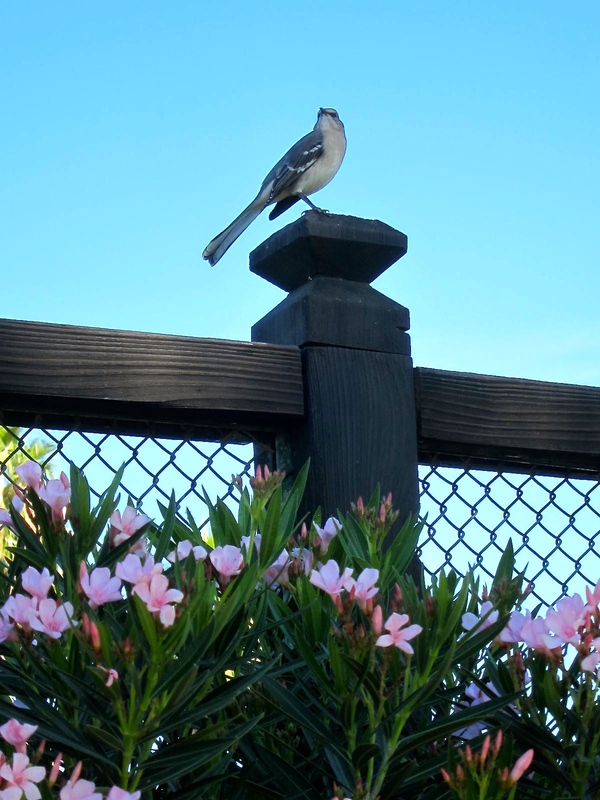 So, when this stern-looking little mockingbird greeted us on the way to our hotel room, I took advantage of its patience (and H‘s too) to snap a few photos. It seemed more than happy to pose in the morning light. ← Fashionable Family Friday: Daddy, It’s Too Cold!